Being a teacher can be a lot of hard work. Still, it is one of the most inspiring and fulfilling jobs in the world. 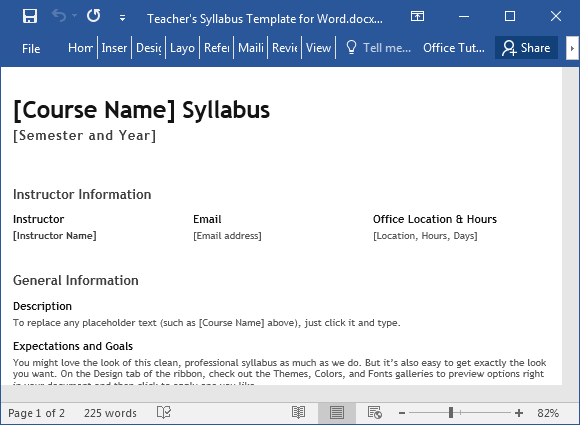 So, as a teacher to help you out with everything that you have to do for your class, Word has an array of teacher’s syllabus templates. 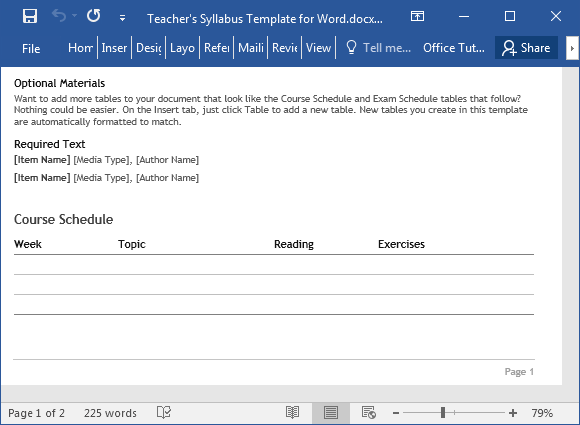 The Teacher’s Syllabus Template for Word is a convenient template that will cut your time in half whenever you prepare a syllabus for your class. 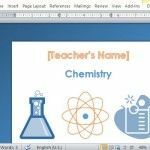 This template has everything you need in a syllabus, complete with text placeholders to serve as guides. 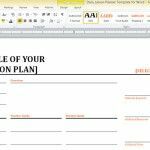 Whether you’re an expert at Word or not, this template is easy to navigate and customize whatever your school subject is. 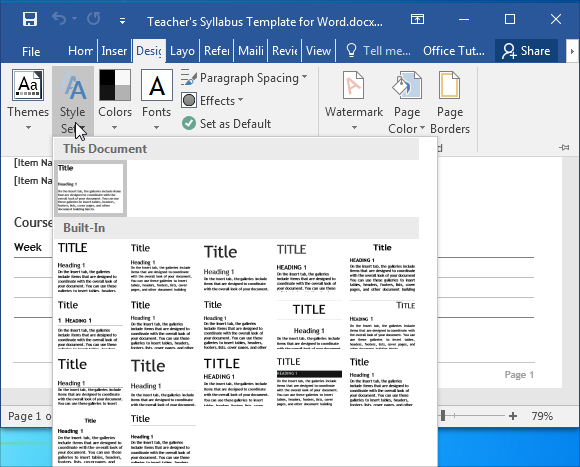 This education template in Word can be used by any teacher or instructor in any school or grade level, whatever subject they teach. This makes it highly versatile and useful for teachers who have different subjects to teach across various grade levels. 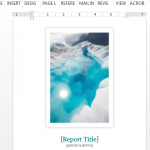 Furthermore, this template is compatible with older versions of Word. Most importantly, this template is free to use. 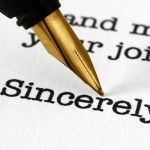 You can easily create a teacher’s syllabus by following the placeholders that serve as your guide. Just enter your course name in the header and a subheader, type the semester and year of your class. 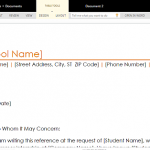 Everything you need to put in your syllabus is neatly organized into three sections, namely Instructor Information for students to contact you for whatever their concerns are. There’s also the General Information section that serves as an overview of the course, Course Materials, Course Schedule, Exam Schedule, and Additional Information. You can add more sections depending on your own course outline. You can also add images, charts, tables, and diagrams to further help your students to easily understand and remember your course requirements.